Piramal Healthcare, a pharmaceutical and drug discovery company in Mumbai, India, says it has acquired rights to the molecular imaging research and development portfolio of Bayer Pharma AG in Leverkusen, Germany. The company has formed a new subsidiary, Piramal Imaging SA, to manage these assets. Financial terms of the sale were not disclosed, but Piramal estimates the global market potential for these imaging agents at $1.5 billion. 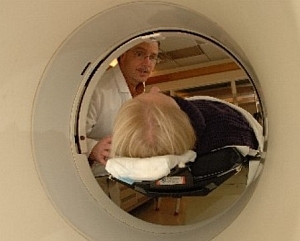 The portfolio includes rights to florbetaben, a tracer chemical used in positron emission tomography (PET) scans for the detection of beta-amyloid plaque deposits in the brain. Recent studies suggest the protein fragment beta-amyloid may be a useful biomarker to identify people at risk for Alzheimer’s disease. Under the agreement, Piramal will gain the intellectual property, worldwide development, marketing, and distribution rights of florbetaben, as well as other clinical and preclinical assets of Bayer’s molecular imaging business. Piramal anticipates core members of Bayer’s research and development team working on the portfolio will join Piramal’s imaging subsidiary. Piramal reported separately of positive results from a phase 3 clinical trial of florbetaben. The trial compares in vivo brain PET imaging with florbetaben to post-mortem analysis of brain tissue. The tests measured the sensitivity and specificity of the tracer’s uptake in the PET scans, within one day after injection, compared to verification of the presence or absence of cerebral beta-amyloid in postmortem specimens. Up to now, the only way to determine the presence of Alzheimer’s disease has been after death through analysis and identification of beta-amyloid in brain tissue. The company says it plans to present the study results will as part of the Emerging Science Program on 25 April at the American Academy of Neurology’s annual meeting.